I'm pleased to announce that my second book, ALWAYS A STRANGER (release: May 2014), now has a lovely cover and cover copy! I had a few "wish list" ideas about the cover, and I'm thrilled that the cover artist agreed! 1) In my mind, the heart of this story is really the heroine, Hanako Sumaki, and her experiences. So I wanted the cover to focus on her instead of on her and the hero. Don't get me wrong--the hero is significant! But focusing on the heroine also emphasizes how the title of the book relates to her, not to the couple. 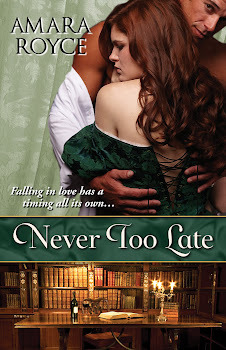 2) I appreciated the three-section cover of NEVER TOO LATE and wanted ALWAYS A STRANGER to echo that cover. After all, while it's not technically a closely linked series, ALWAYS A STRANGER is set in the same time and place, and NEVER TOO LATE's couple, Honoria and Alex, are important secondary characters in this second book.